Dirt Riot race day, with 34 race trucks and 6 UTV in attendance its a large crew gathering to race around the 11 mile race track. With the 6 UTV set to do a 1hr race, the 22 sportsman series trucks (modified but with frames and full bodies) set to do a 1.5hr race and the 12 full on race car 4400 and 4500 series rigs set to do a 2hr race its shaping up to be a long and exciting day of racing winding around the dusty dirt trails at the C.O.R.E site outside of Agate, CO. Agate is a tiny dot on the map with about 15 houses and zero services about an hour east of Denver. The morning starts off with the UTV on the track and they put down some impressive times on the track with the Pro class being won by Chris Barnett, followed by Justin Meader in second and Brian Fisher in third. The amateur UTV class was won by Kyle Roach, Matt Fellows in second and Brad Witbeck in third. Next up was the sportsman series trucks which was a wild race due to 22 rigs being on the track at once being sent out at 30second intervals and lap times around 15minutes there was tons of action for everyone to see. 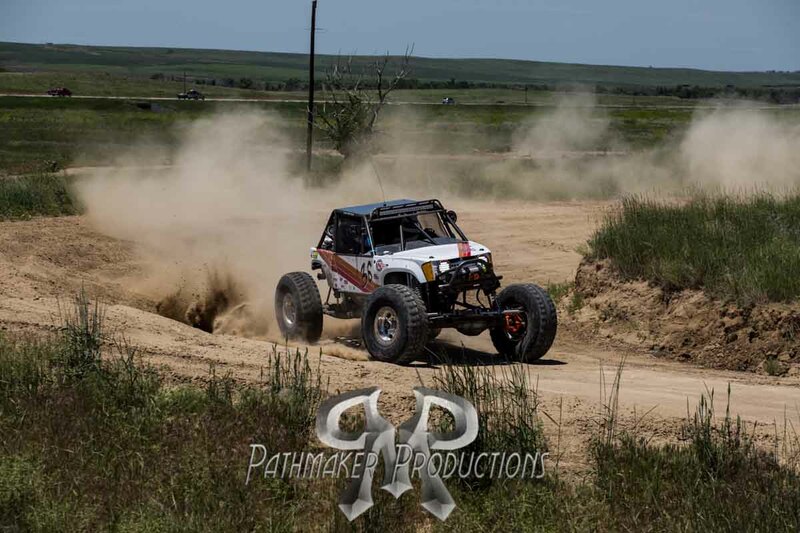 The SuperMod Trail class was won by Jason Fish, Israel Estares second and Dom Vallejos third. The 4600 class was won by Josh Jackson, followed by Tim Adkins and Victor Buness. The Stock Trail class, these are lightly modified rigs out there hitting the jumps and flying around the track gaining a lot of respect for what these trucks can do on a budget and with a heavy foot on the gas pedal. The class was won by Keith Sach, second was Ryan Robinson and third Shawn Rants. Then after a short break it was time to send the big dogs out to play, the 4400 class are full on offroad race cars, built specifically to go fast across any terrain. Running full tube chassis with big v8 motors, average 40″ tires almost anything goes in this class, if you can dream it up and afford it (and pass the safety tech inspection) then you can race it. With top speeds on this tight windy track hitting over 100mph these cars are super exciting to watch. Massive dust clouds following each racer means its essential to make passes as soon as possible to stay out in the clean air, which is sometimes easier said than done. Numerous rollovers and a bunch of mechanical failures means of the 10 4400 cars and 2 4500 cars that started the race only 6 actually crossed the finish line after 2 hours. The 4500 class which only had 2 entrants and one of the 2 DNF (did not finish) means that Mitch Funk took home the win, the trophy and the prize money. The 4400 class was extremely close but some great driving all day by Ben Swain took home the win, even with a stop for fuel, which none of the other drivers did. Great job by his pitcrew to get the fuel in it and get it back on the track in record time. Darrell Gray all the way from Texas racing in his new car and still learning the ins and outs of going fast in it took second place. He also won a $100 “bounty” from the C.O.R.E guys for being the only one to consistently hit the big step up jump and getting over 20′ of height at full speed, what a lunatic! Coming in third was Chad Wheeler who had a very clean race and put down some great times to hold off the other drivers and secure himself a spot on the podium. Rave reviews of the course and the facility were coming in from all the drivers, with this event being the first time a Dirt Riot has been held at this location. After the race was finished and the trophies handed out it was on to the other important task of the day and that is post race drinks for well deserving racers and teams. War stories and good laughs were shared by all to cap off a great event and long and dusty day in Eastern Colorado.